Lookin at the cover artwork you can imagine what you gonna get: 2 tracks that were originally from the "Syncopated City" album from 2008 (29.9.). Just in time for the 10th anniversary of that album these two awesome tracks finally get their vinyl release, cause for some reason they didnt make it on the vinyl version of the album. We always thought that is a shame, cause "outnumbered" is one of the strongest, if not thee best track of the album. 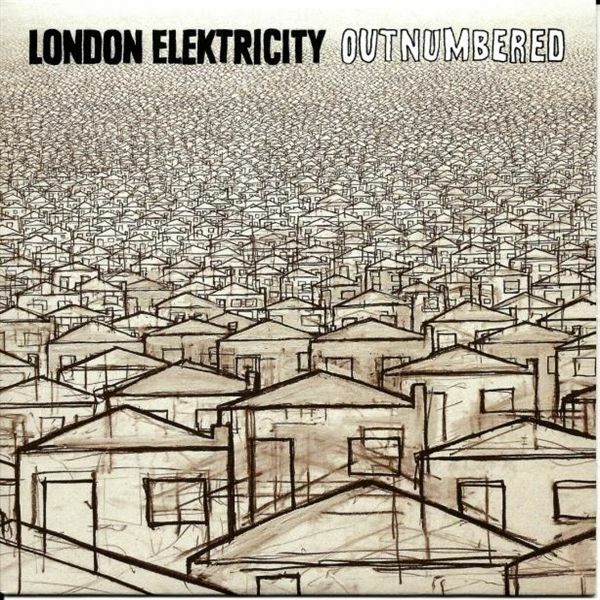 People who got the CD of the album probably already know that!London Elektricity was always vehicle for the twisted loungecore D&B creations of Hospital Records masterminds Tony Colman and Chris Goss. And also these 2 tracks fit perfectly into this description. The songs feature the incredible vocals of longtime LE collaborator (and award winning Jazz Legend) Liane Carroll like you've never heard her before - haunting and suspicious, while the man himself Tony Colman adds his own vocals and adlibs throughout. So its the first time these 2 fine tracks going to be pressed on wax!